The month of love isn’t just about caring for your Valentine, but for caring about yourself and your heart. 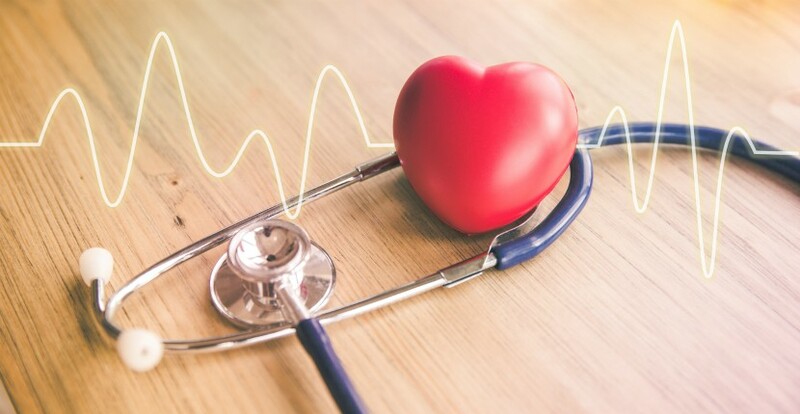 While February 14 is often the highlight for retailers around town, in the realm of health, February is important because it is the federally designated American Heart Month. Around each hospital and home care agency alike, instruction and attention is focused on heart health throughout the month—ever since February 1964, when cardiovascular disease was the cause of more than half of the deaths in the U.S.
Today it’s still responsible for about one in four deaths, but the good news is that the majority of cardiovascular disease is preventable. When individuals make healthy decisions and manage their wellbeing, the risk of heart disease decreases. How do you make sure your heart is healthy and happy? High blood pressure and cholesterol both contribute to an unhealthy heart. They increase your risk of having a cardiovascular disease, along with an unhealthy BMI (being overweight or obese), smoking and diabetes. Exercise is one simple way to help your heart and body fight aging and benefit your health in a number of different ways. By taking part in yoga or trying out equipment-free exercise with a friend, a person can burn calories, help lower blood pressure, regulate blood sugar and better cholesterol levels. Just the recommended 30 minutes of daily exercise can make a huge difference. If it’s help you crave, consider trying a meal deliver service or ask about our Highland Park home care services, which include meal preparation. Mental health is just as important as physical health to individuals of every age. The inability to cope with stress can result in high blood pressure and have bad consequences for both our heart and wellbeing (like chronic stress leading to early Alzheimer’s). Fortunately, exercise is a great way to relieve stress! In addition to this, meditation and even conversation are great ways to de-stress. Getting more sleep, trying a new activity and laughing with family also have positive effects in stress reduction. Smoking may not seem like a big deal, but it is one of the main causes of coronary heart disease. In fact, according to the CDC smokers are at least twice (and possibly four times) as likely to have a heart attack. In addition reducing the amount of oxygen in blood, it damages blood vessels and allows fatty material to build up, all of which can cause a heart attack, stroke or angina. Instead taking a drag or hanging around people who take up this bad habit, find encouragers who will help stop it. Here at Freedom Home Care, the health of our clients is of utmost importance. It’s the very reason our team has started using the Client Wellness Tracking System, which utilizes tablet technology in the homes of our clients, alerting our caregivers of changes in our clients’ health. If heart health is a particular concern of yours or of a loved one and you are looking for a “home care agency near me,” find out how we can support you by calling (877) 262-1223.